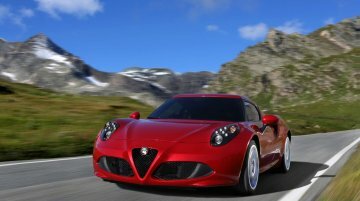 Italian manufacturer Alfa Romeo has made its re-entry into the US market with the Alfa Romeo 4C. The 4C made its debut at the 2013 Geneva Motor Show and has been wowing Europe since then. The.. The 2015 Subaru Outback was unveiled at the New York Auto Show yesterday. 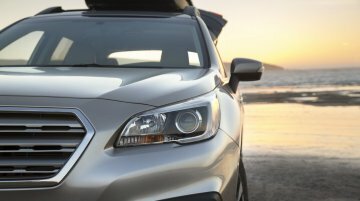 The new Outback is based on the popular Subaru Legacy. 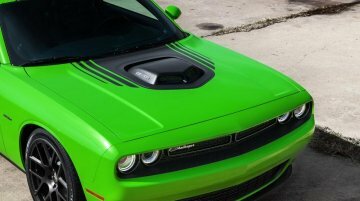 The Outback retains the same powertrain as the Legacy - it is..
American muscle car maker Dodge unveiled the 2015 Dodge Challenger at the New York Auto Show. The 2015 Challenger is available in eight trim levels: SXT, SXT Plus, R/T, R/T Plus, R/T Shaker,.. The 2015 Dodge Charger made its debut at the New York Auto Show yesterday. The four-door muscle car gets a list of both interior and exterior upgrades. 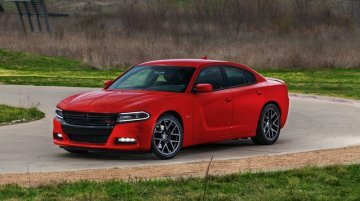 In terms of engines, the Dodge Charger.. The US-Spec Honda Vezel, called the Honda HR-V was unveiled at the New York Auto Show. 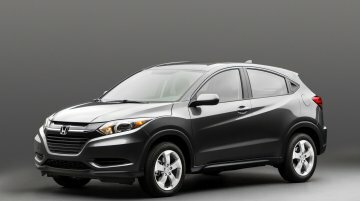 The HR-V for the US will be manufactured in Honda's plant in Mexico. The production-version of the.. 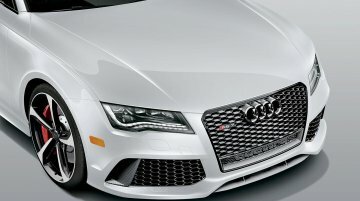 The Audi RS7 Dynamic Edition made its global debut at the 2014 New York Auto Show. 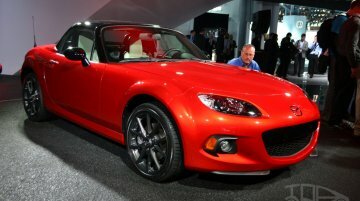 The vehicle was showcased to detail the options available to the company's personalization program. The RS7.. 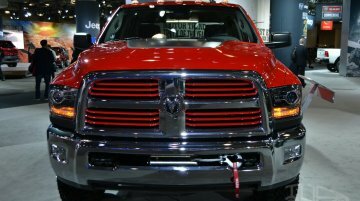 The 2014 Ram Power Wagon had its public debut at the New York Auto Show today. Based on the Ram 2500 Heavy Duty 4x4 Crew Cab, the Power Wagon features off-road-specific enhancements, including a..
Update - The Q70 was shown at the Moscow Motor Show 2014, and a gallery from the show floor has been updated to this story. 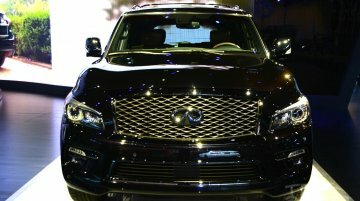 Apart from showcasing the new QX80, Inifini also premiered the.. Even before the S Class coupe could go on sale, Mercedes-Benz have revealed the S63 AMG coupe at the New York Auto Show which commenced today. 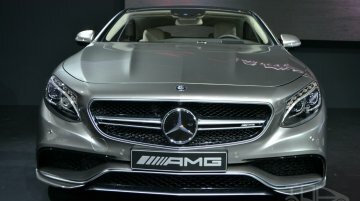 The S63 AMG coupe is based on the S Class coupe which..
After showing off the concept version at the 2013 NAIAS, Honda's Acura TLX has been shown in its production-avatar at the ongoing NY Auto Show. 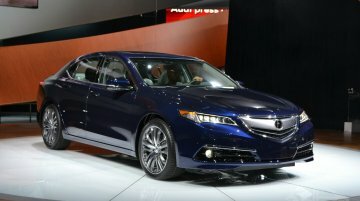 The TLX takes its engines from Honda. 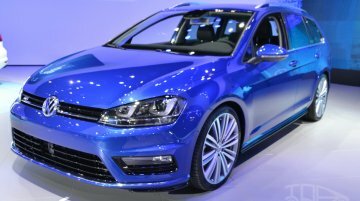 The base TLX..
VW has unveiled the Volkswagen Golf Sportwagen concept at the New York Auto Show. The concept, VW says, previews the 2015 production version. VW is calling the concept as "A sportier alternative..
Infiniti has introduced the 2015 Infiniti QX80 (facelift) at the New York Auto Show today alongside a new range topping 'Limited' trim. 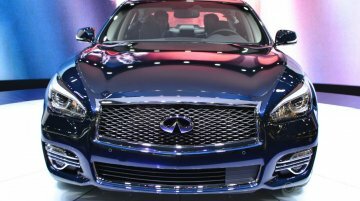 The full-size SUV is given new full LED headlamps and.. The 2015 Volkswagen Jetta was unveiled today at the ongoing New York Auto Show. 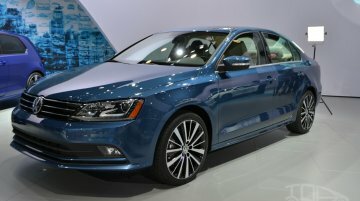 The new Jetta sports a few cosmetic changes along with a new powerplant. 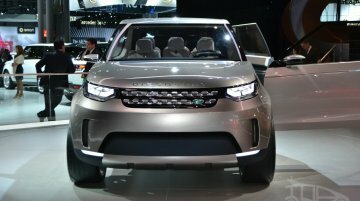 The new 2.0-liter EA288 TDI diesel engine..
Land Rover today showed off the Land Rover Discovery Vision concept at the ongoing New York Auto Show. 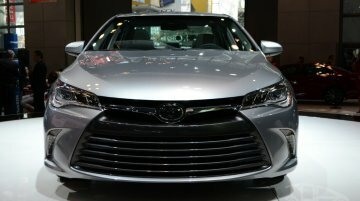 The concept shows the future direction for all Discovery models, the first of which is due in..
Toyota has unveiled the 2015 Toyota Corolla at the ongoing New York Auto Show. Almost a million units of the current generation Camry have been sold since its launch in 2011. Toyota says that the..
Scion has revealed its latest tech-laden special edition car called the Scion xB Release Series 10.0 at the ongoing New York Auto Show. 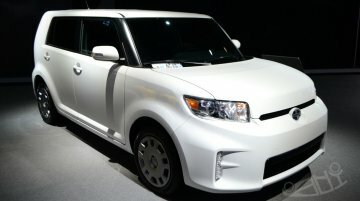 The Scion xB Release Series 10.0 comes with a unique.. 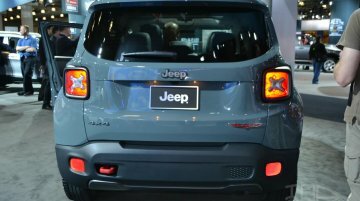 The all new 2015 Jeep Renegade was just unveiled at the ongoing New York Auto Show. The Renegade gets a choice of two engines, the 2.4-liter Tigershark engine that makes 184 hp and 240 Nm of..